Local sources reported that several Coalition airstrikes struck Al Baghouz on March 16th. 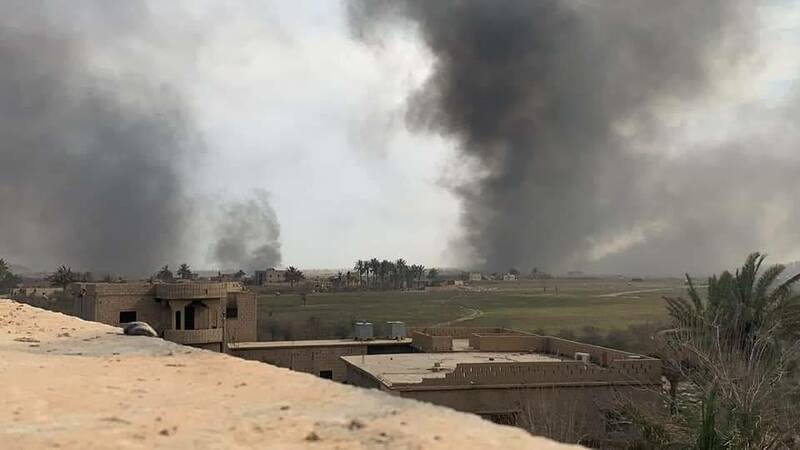 According to Step News Agency and Marsad Al Hasaka, the airstrikes struck the town, whereas government-affiliated news outlet SANA reported the airstrikes struck Al-Baghouz camp. Step News reported that clashes broke out between ISIS and “the militia” in the vicinity of the town of Al-Baghouz east of Deir Ezzor “amid aerial bombardment by coalition aircraft and artillery by the militia targeting the remaining pocket of Daesh.” Neither Step News or Marsad Al Hasaka mentioned civilians were killed or inured. However, according to SANA many citizens were killed and others were injured when the camp was struck. SANA claimed that many of the killed citizens were women and children escaping atrocities of ISIS. A number of ISIS family members were killed and injured, following air and artillery strikes on the Daesh stronghold, Al Baghouz camp. Sources blamed both the US-led Coalition and the SDF. There were no specific numbers of casualties or wounded reported. 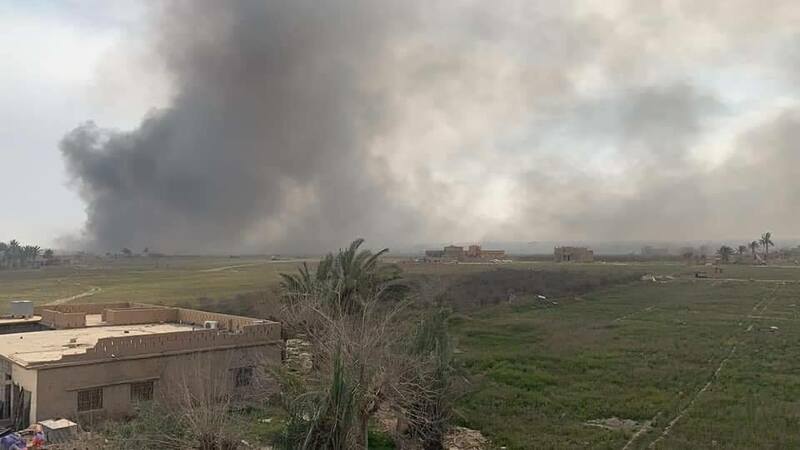 An unspecific number of civilians were killed and injured, in renewed US-led Coalition airstrikes on Al Baghouz camp. All sources blamed the Coalition for the strikes. Reportage by @banipon9 showed images and footage of “charred” civilians due to the use of internationally banned phosphorous bombs. According to Sana news “claiming the lives of a number of citizens, most of them were women and children”. 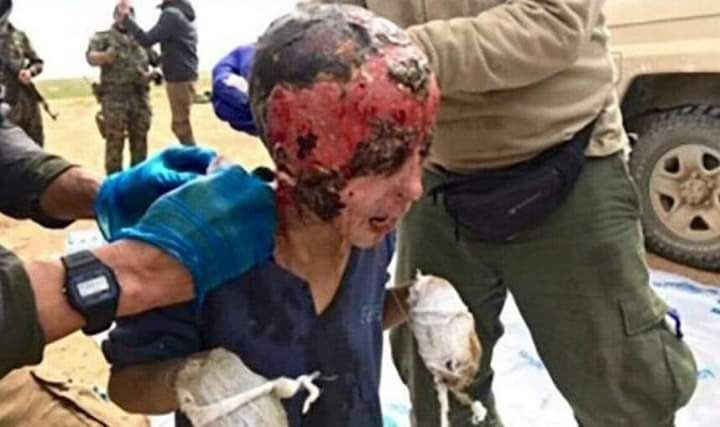 Both Al alam and the Step News Agency reported that “white phosphorus” was used in the strikes. Al Baghouz, near the Syrian-Iraqi boarder, has endured shelling by the Coalition for an extended period of time now. The following day on the 8th of March, it was reported by Al alam News that the number of civilians was likely to rise, with no specific details. Between Feb. 24 - March 9, 2019, CJTF-OIR conducted 99 strikes consisting of 139 engagements against Daesh targets in Syria and Iraq.In Syria, CJTF-OIR conducted 97 strikes consisting of 137 engagements, engaged 228 Daesh tactical units, and destroyed 71 tactical vehicles, 35 vehicle borne improvised explosive devices, 17 supply routes, 11 fighting positions, 10 weapons caches, eight staging areas, four command and control nodes, two tunnels, two heavy machine guns, one anti-aircraft gun, one fuel tanker, and one boat. For February 27th to March 5th, French MoD report 4 firing missions from the Iraqi territory by Task Force Wagram. Aircraft carried out 18 sorties. There was one strike. CHAMMALSituation militaire du théâtreOffensive contre les dernières poches de Daech en SyrieEn moyenne vallée de l’Euphrate, les combats menés par les Forces démocratiques syriennes, appuyées par la coalition, se poursuivent autour de la ville de Baghouz.Poursuite des actions en IrakLa situation sécuritaire reste stable. Les Forces de sécurité intérieures poursuivent leur effort dans la lutte contre Daech.ACTIVITÉ DE LA FORCELe dispositif français déployé au Levant n’a pas évolué.La Task Force Wagram en appui de l’offensive contre les dernières poches de Daech présentes dans la vallée de l’EuphrateLa Task Force (TF) Wagram continue d’appuyer les forces démocratiques syriennes contre Daech au sud de la ville d’Hajin.La TF Wagram a réalisé, depuis le territoire irakien 4 missions de tir (soit 1 mission d’aveuglement et 3 missions de certification – bilan du 27 février au 05 mars inclus).Les bases aériennes en Jordanie et aux EAU en appui des opérationsLes aéronefs français basés en Jordanie et aux Émirats arabes unis poursuivent leurs actions contre Daech, au sein de la coalition.Cette semaine, les aéronefs de l’opération Chammal ont réalisé 18 sorties aériennes (bilan du 27 février au 05 mars inclus). Les Rafale français ont conduit une frappe cette semaine. 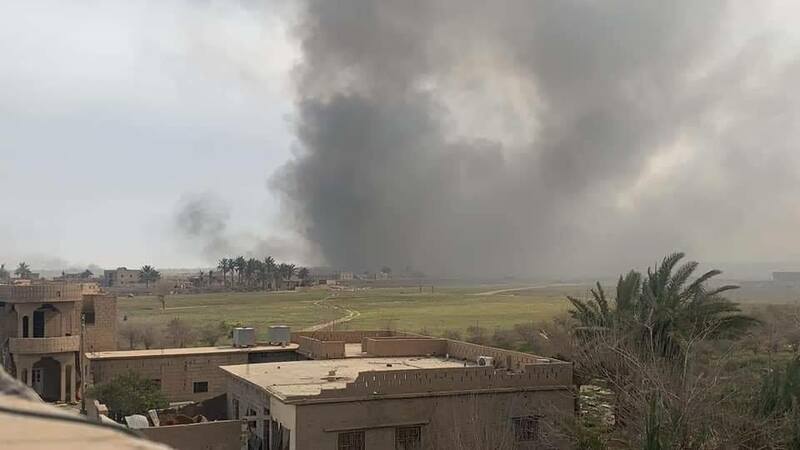 Local sources reported that the Coalition had renewed shelling on Al Baghouz after midnight on March 3rd 2019. One of the shells allegedly struck an ammunition depot that caused a large explosion in the camp. According to one local source, Hamah.Now, up to 250 civilians were killed and wounded in the event. In a tweet, @Sakeraldeen reported that the only field hospital tent was set on fire, with dozens of wounded women and children inside. The source included a video that shows several burned bodies. He added that the Coalition used white phosphorus in the attack. 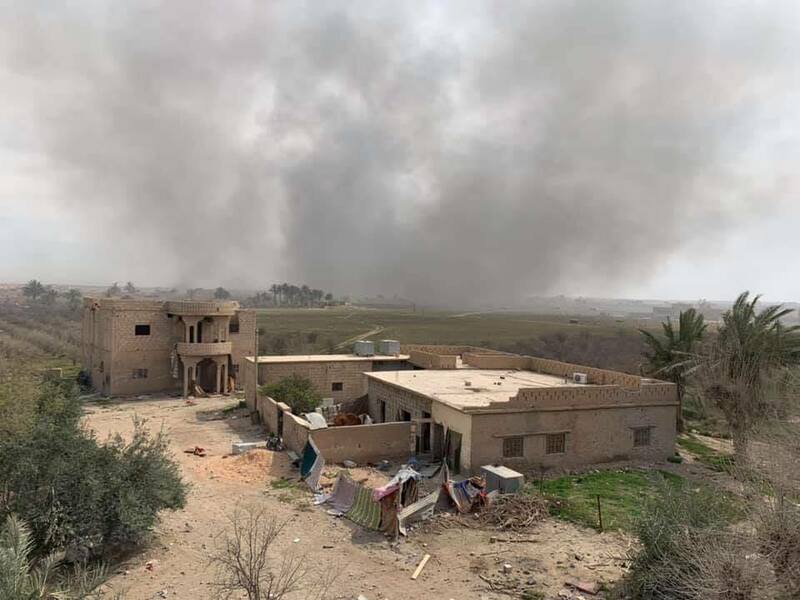 According to the Step News Agency on March 4th, “Coalition forces renewed shelling on the Al-Bagouz camp in the eastern suburb of Deir Al-Zour after midnight last night, targeting an ammunition depot which caused a large explosion in the camp, resulting in casualties among women and children amid the absence of any medical staff”. 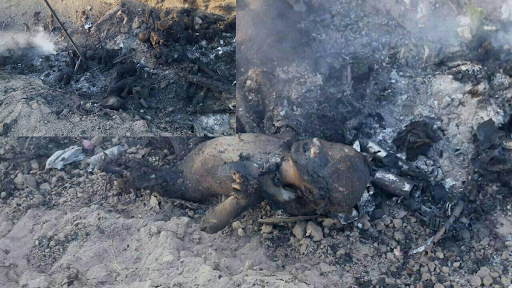 sakeraldeen reported that “International Alliance aircraft targeted the only field hospital tent in the Al Baghouz camp with white phosphorus, which led to the burning of many tents and burning of dozens of children and women”. 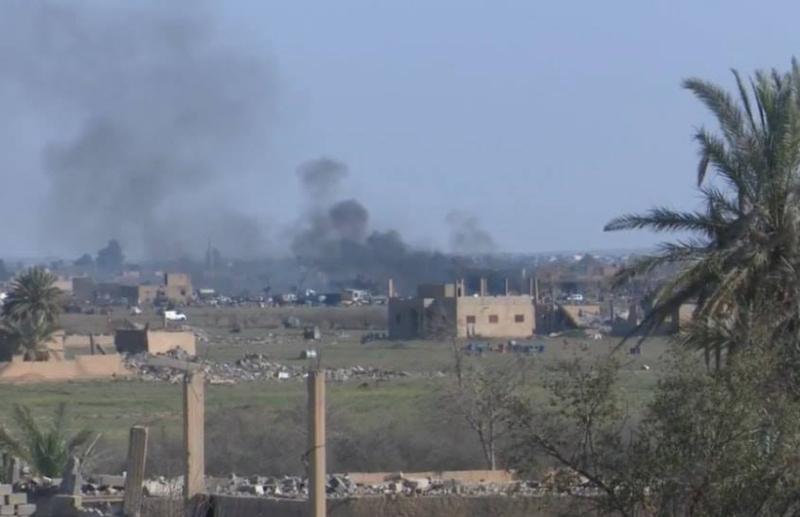 Video from the battleground in Al Baghouz on March 3rd 2019 (via @fahadiraq5). Photo's of the alleged Coalition airstrikes on Al Baghouz on March 3rd 2019 (via @The God Father10q). 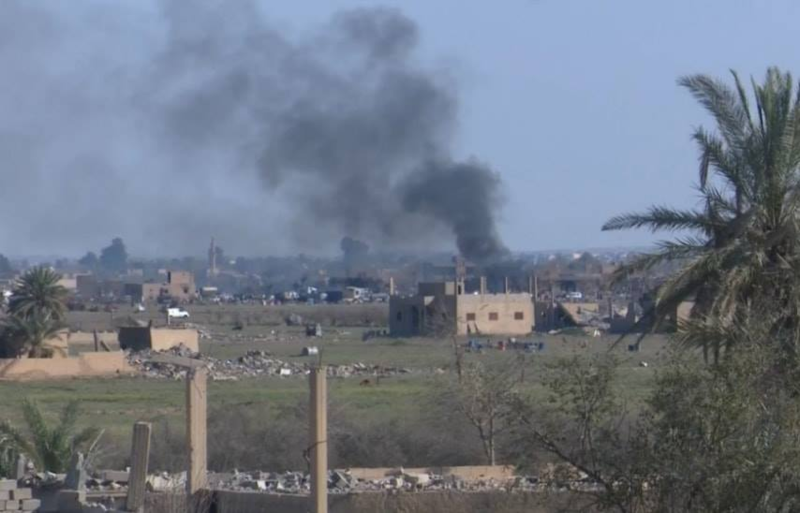 Video of the alleged Coalition airstrikes on Al Baghouz on March 3rd 2019 (via Nors For Studies). Video of the alleged Coalition airstrikes on Al Baghouz on March 3rd 2019 (via SDF). Video of the alleged Coalition airstrikes on Al Baghouz on March 3rd 2019 (via Alarabiya). 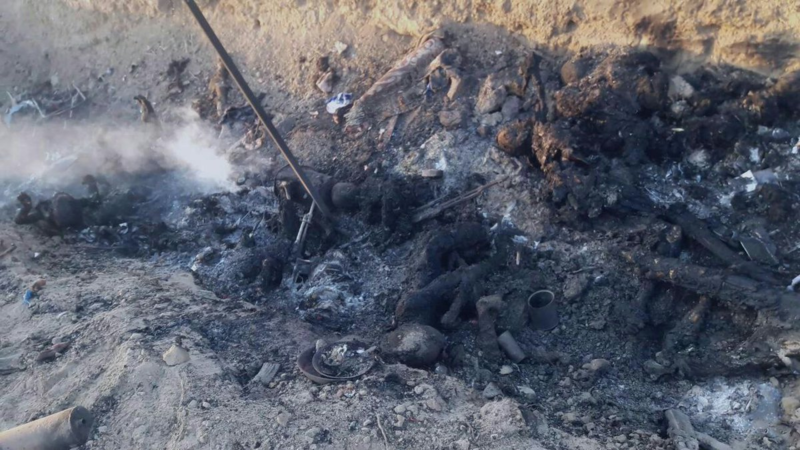 Video depicting the burned bodies of people who were killed in alleged Coalition airstrikes on Al Baghouz on March 3rd 2019 (via @sakeraldeen).